LAND ROVER SELECT CERTIFIED PRE-OWNED EXTENDED WARRANTY! 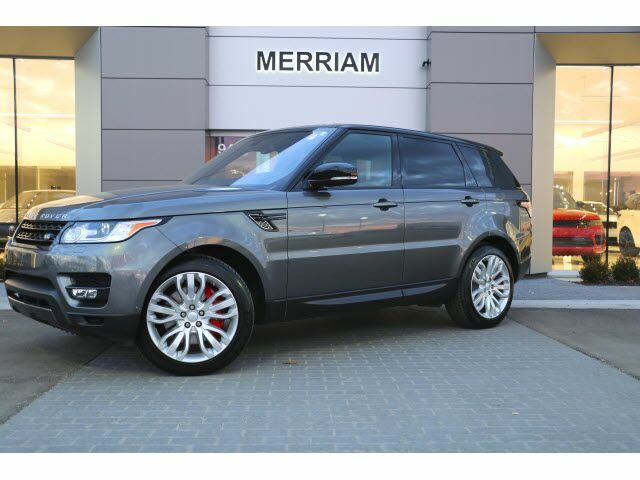 2016 Range Rover Sport V8 Supercharged Dynamic in Corris Grey Local 1-owner trade-in, Clean Inside and Out and Loaded with Options! Black Roof, Luxury Climate Comfort Pack, Driver Assistance Pack, Vision and Convenience Package, Adaptive Cruise Control and Queue Assist, Sliding Panoramic Roof, Heated Windscreen, Cooled Front Console, 21 inch Wheels, Tow Package, Meridian Reference Sound System, and More! Please Contact Brian Stacy 1-855-979-0255 to Test Drive Today! Aristocrat Motors, Kansas City's premier luxury dealer strives for the highest levels of customer service. Voted "Best in Business" by the readers of Ingram's magazine, our customers are our number one priority.